La Soñador ~: Psalm 82 - A Hidden Prophecy Of Our Saviour!!! 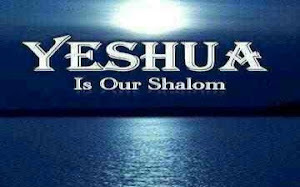 I was directed to look at Psalm 82, regarding the multiple use of Elohim (one of the hebrew titles of God). So I open up the Blue letter bible and check it out. And I look and I stare, and I look really hard and am seeing something MIND BLOWING. I pull up another interlinear and check it out and STILL am completely shocked and speechless. I search if ANYONE else has seen what I am seeing and I am drawn to an article referencing that Jesus quoted these scriptures in John 10:35. I pull up the interlinear for that. Psalm 82 is mistranslated (or has a double meaning?) and is actually a PROPHECY of Jesus Christ and his 'coming down' 'dying as a human' 'rising' 'judging the earth' and 'inheriting all the nations'. And when Jesus discusses this verse in John, he is STILL saying, 'Hey, This verse is about me' and the jews were furious that he was saying He was God!